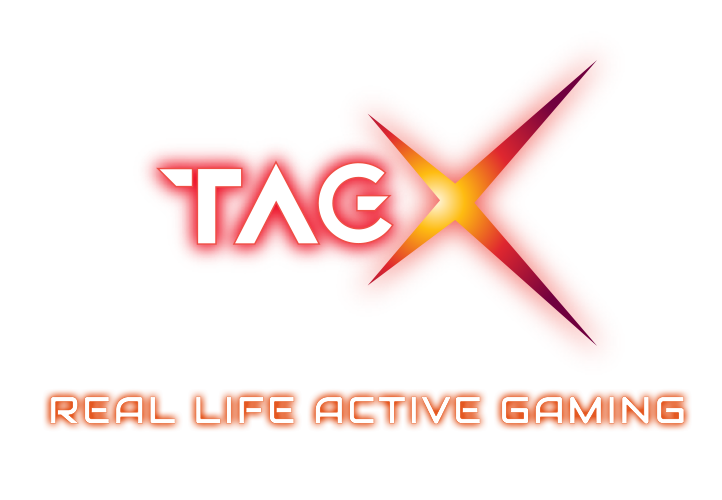 TAG X is a real life, active gaming experience that will challenge players to take part in a variety of games and challenges. 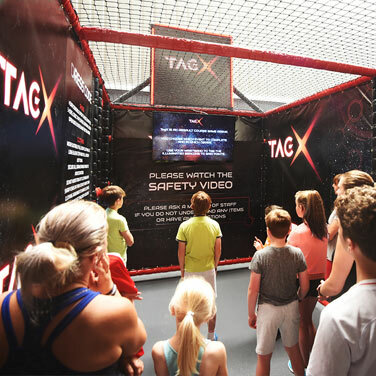 The aim of the game is to collect points on your wristband by swiping against different illuminated TAGs hidden within the different games throughout the arena. 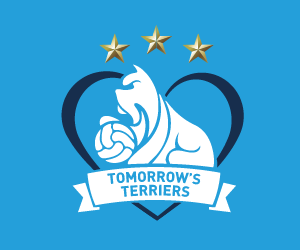 Designed for age 8 years or over, it will test your speed, strategy, bravery and agility, before ranking you against others. You will even be able to come back next time and beat your own personal best. 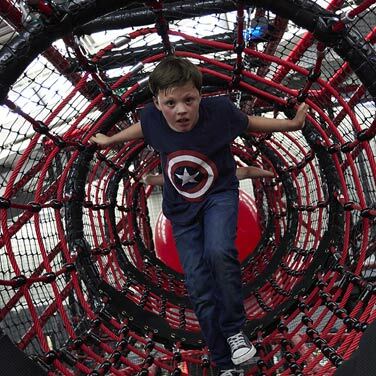 The high tech multi-level play arena takes it's inspiration from the likes of Ninja Warrior™ and Crystal Maze™. It is sure to exceed all the family's expectations! 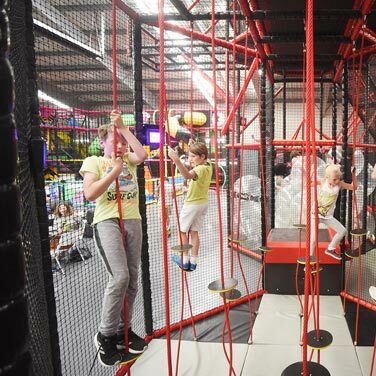 Located next to Stompers play gym, there really is something for all the family to do here, with Costa Coffee available and free Wi-Fi. 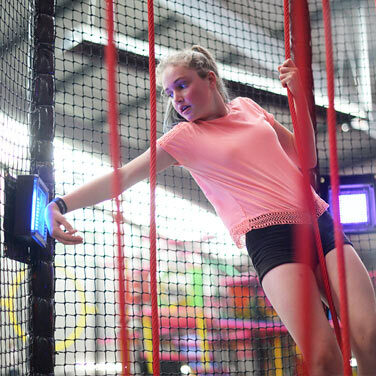 Zone 1 consists of 7 games, including a Giant Ball Hop; jumping from one ball to the next, whilst reaching for the TAGs, will test everyone's balance. 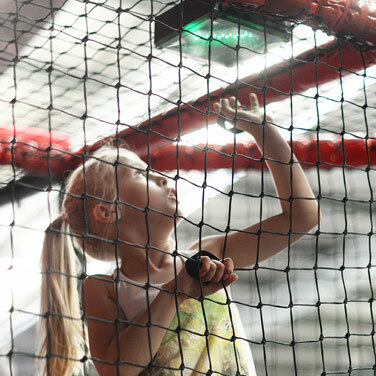 Other games include a Translucent Lit Ballpool filled with various TAGs underneath, an Angled Cargo Net to reach through and climb up. 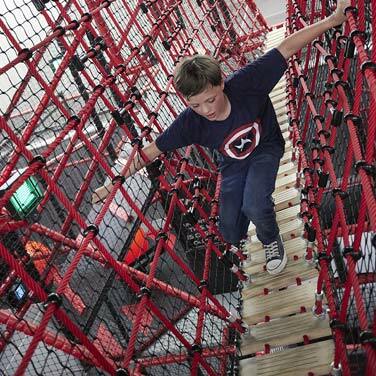 Plus a Traverse Wall, Rope Climber Maze and Wall Jump Vertical Ropes. 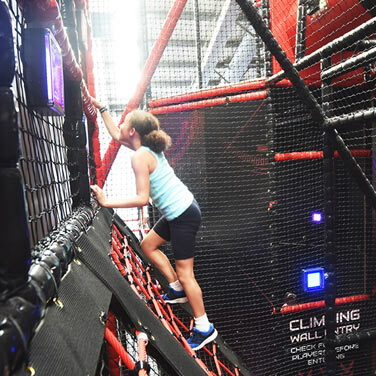 Zone 2 reaches the highest point of the four floor structure and consists many more games; a Clear Spider Wall is where you have to jump up and see if you can hold onto the walls either side and move along, reaching the TAGs on the roof. Other games in this zone include the Pugil Stick Challenge and the Burma Bridge, which is a 'V' shaped rope bridge suspended between two towers where you have to navigate through the wooden slats, reaching for the various TAGs as you go. 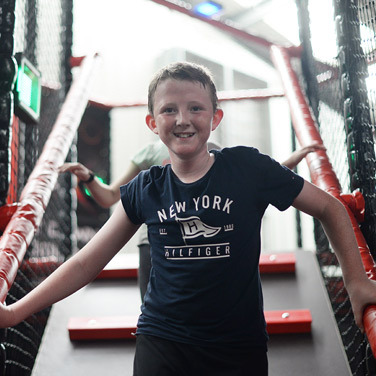 Other challenges in this zone include Tube Crawl, Punch Bag Zone, Mega Ball, the Clear Crawl Ledge, Giant Rope Bridge and Ball Pool Reaveal. 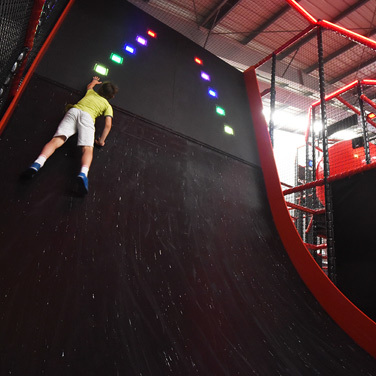 Finally, zone 3 consists of another 6 games, including the Quarter Pipe - can you "beat the wall"? 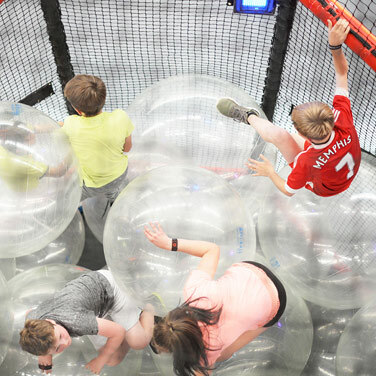 There is also a Giant Ball Zone, filled with large clear inflatable balls, that you must climb over, under or move out of the way, to reach the TAGs. There is also a Hex Climb Tower, which is a large hexagonal shaped climbing pole you need to climb up and around to reach the TAGs. 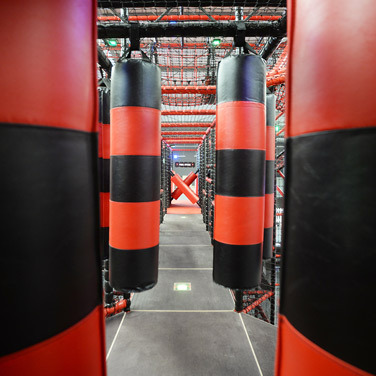 Other games include the Sea of Ropes, Clear Mirror Maze and finally the Cones of Contorsion. 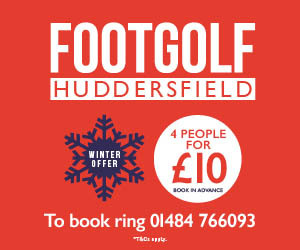 Please ensure you arrive 20 minutes prior to your booking slot. If you arrive late entry may be stopped as we need to ensure you see all of the briefing video. Session times may vary, please check latest session times. 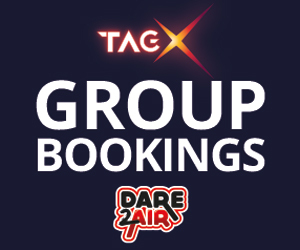 For group bookings please call 01484 766131 for more information. 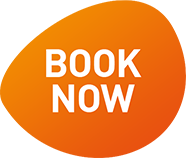 Please be aware that you cannot pre order food when making a group booking and we cannot guarantee that food orders will all arrive at the same time. Gamers must be aged 8 years or over, and 1.2 metres tall or over. See the YEAH! EAT Menu where we are also 'Proud to Serve' Costa Coffee. Unknown, Given at time of participation.